Ofcom's Mobile Coverage Checker provides a single-stop for consumers and businesses across the UK to discover the quality of the mobile coverage in areas where they live, work, or intend to move. The bandwidth of a radio signal is defined as being the difference between the upper and lower frequencies of the signal. The amount of bandwidth needed for 3G services is typically as much as 15-20 MHz. Compare this with the bandwidth of 30-200 KHz used for current 2G communication and you can see that there is as much as a 500-fold increase in the amount of bandwidth required. 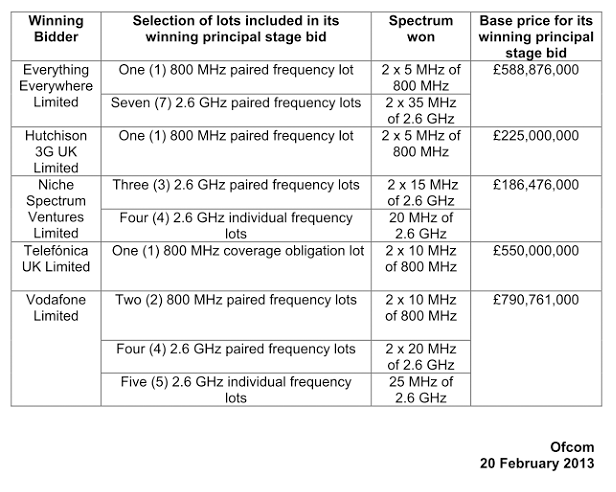 The UK telecoms operators have had to buy 3G spectrum from Ofcom and the UK government in an auction arranged to achieve the highest possible price. The radio spectrum is organised (and sold) as a paired spectrum - a bit of spectrum in a lower frequency band, and a bit of spectrum in an upper frequency band. Paired spectrum is often specified in a form like "2x15MHz" meaning 15MHz in a lower band and 15MHz in an upper band. This technique of two users talking to each other on two separate frequencies is called Frequency Division Duplex. The spectrum system used by 3G applications is called UMTS (Universal Mobile Telephone System). As can be seen from the diagram, UMTS FDD is designed to operate in paired frequency bands, with uplink in the 1920-1980 MHz band, and downlink in the 2110-2170 MHz band. UMTS TDD is left with the unpaired frequency bands 1900-1920 MHz, and 2010-2025 MHz. In Europe the choice of frequency band for implementing UMTS was clear, however these frequency bands were not available in the U.S., so alternative frequency bands are used consisting of 45MHz of space in the 1710-1755 MHz band and 45 MHz of space in the 2110-2170 band. It’s critical to consider the distance from the transmission tower and any obstacles that lie between the antenna and the tower. These factors also affect outdoor antennas, but it is more critical to pay attention to these details since indoor antennas are usually having top cope with trying to receive the signal through the walls of your property which will obviously have a considerable effect on the signal strength and signal quality (the amount of noise on the signal). There isn’t a specific distance that determines if an indoor antenna will work for you. If you live within a built up area then you will likely be able to use an indoor antenna. 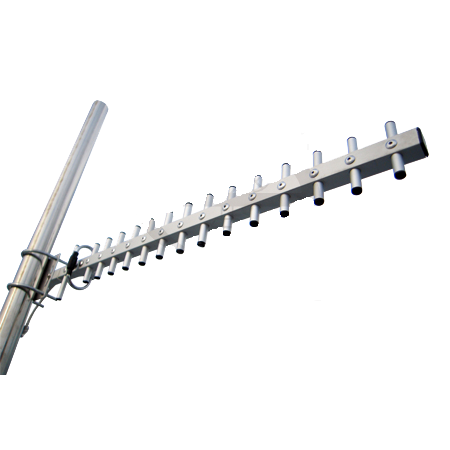 If you are in a rural area where the mobile phone cell density is lower then you might have to resort to an outdoor antenna (which is generally higher gain and can be mounted in an outdoor position which gives better clear line of site to the nearest transmission mast). The first thing to note is that an antenna does not BOOST a signal. An antenna simply concentrates a signal i.e. it takes signal from an unused direction and concentrates it into a useful direction. Generally there are two main types of antenna: Directional and Omni. 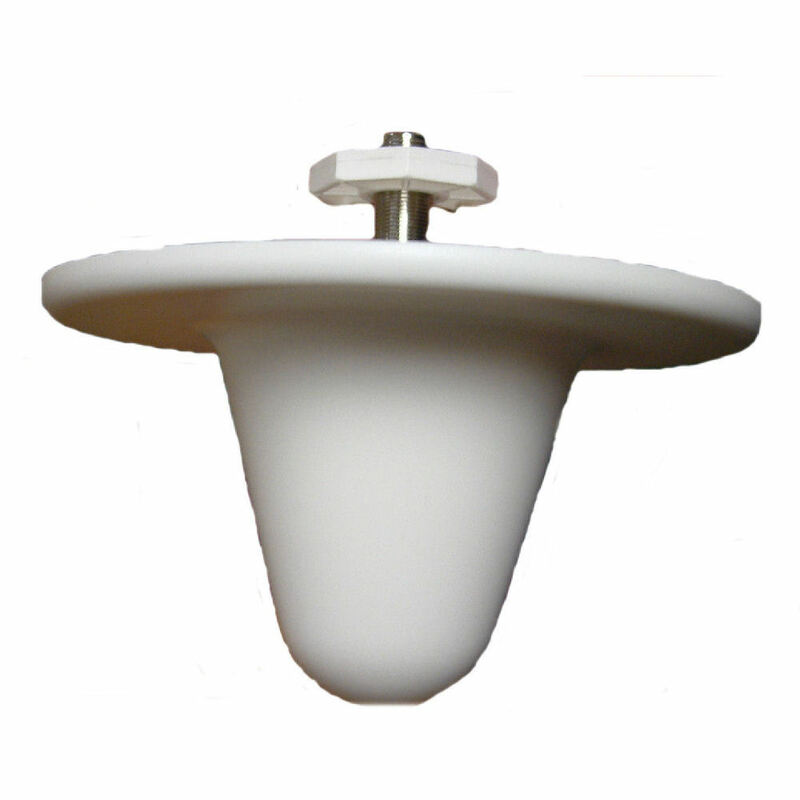 A directional antenna typically concentrates the signal into a cone which you aim at the signal source. If you have a clear line of site between your receiver and the transmission tower then a directional antenna is generally the best type. An omni antenna concentrates the signal into a horizontal disc: It’s taken signal that would normally be directed upward or downward and sent into a thin disc. An omni antenna is generally your best choice where you are unsure where the signal is coming from or the signal is being received after reflection or scatter due to obstructions in the way. The important point to remember though is the extra gain of an antenna has been achieved by concentrating the signal and hence, narrowing the useable reception beamwidth. Typically, if you double the power (gain) of an antenna then you’ve halved the area of beam coverage. This is an important consideration when you consider how easy or difficult it’s going to be to aim the antenna at the signal source: Obviously it will be easier with a low gain antenna with a wider beamwidth than it will with a much higher gain with a much tighter beam angle. 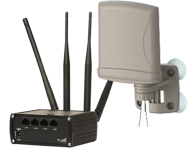 Deciding on which antenna gain to use is often a compromise between signal strength and signal coverage. In the years since we first wrote our 3G introduction, 4G (actually LTE) has come along. LTE is a multi-stream radio MiMo technology. This is like 11n WiFi (which is also MiMo). One of the ways that LTE gets its performance improvements is to use multiple radio data streams to and from the end client. Just like 11n WiFi, the more streams of data the client can take then the faster the effective broadband. Like 11n WiFi, the terminology which denotes the number of streams is expressed as TxR where T is the number of transmit radio streams and R is the number of receive streams the connection can support. So, if a client supports 2×2 streams then it can generally support twice the upload and download speed of a 1×1 device. In the world of LTE you can have anything from 1×1 right up to 8×8 stream capability with all the possible mixes in between. In simple terms a client device needs to have an antenna for each radio stream. For a 1×1 service then the client just needs a single antenna. For a 2×2 service the client needs two antenna, and so on. So the number of streams a connection can support depends upon the capabilities of the service providers masts and also the radio capabilities of the client device. If your client device (dongle, router, whatever) only has a single antenna connector then there’s just no point in getting an LTE antenna with dual connections; you’re just wasting your money. 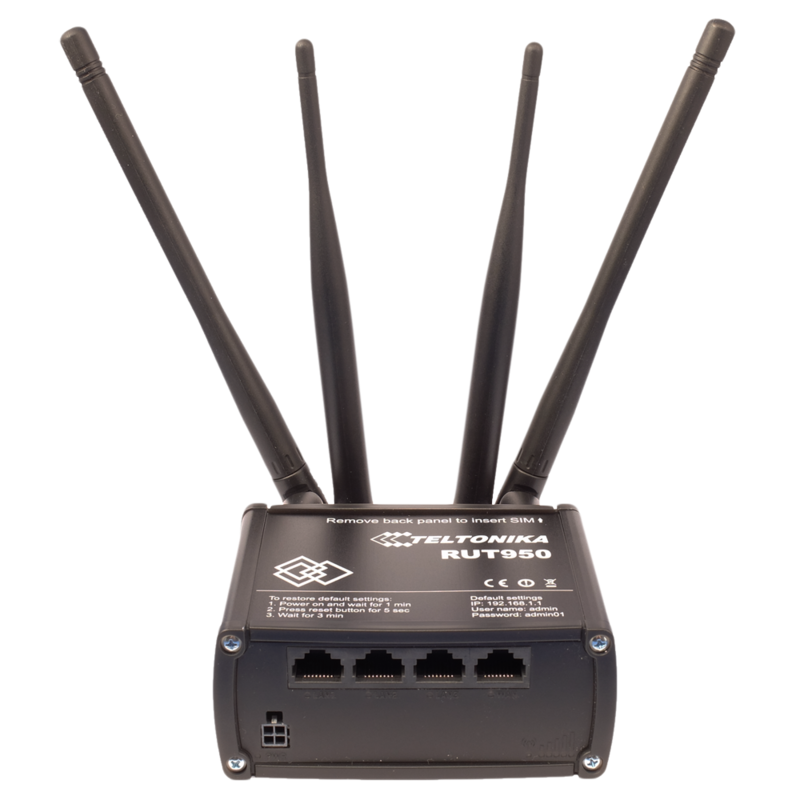 On the other hand if you do have a dual connection device then you must use either two single connection antenna or one dual connection antenna. In some countries there is just a single frequency band used for their 4G service. In the UK LTE is spread across three widely different bands. i.e. 791-862MHz, 1710-1880MHz, and 2570-2620MHz. The implications for the end user are you need to ensure your antenna suits the providers service. So, if you get an antenna suitable for EE on their 800MHz band and then change to a service that uses 2.6GHz then the antenna may or may not be suitable; it just depends if you were sensible in the first place and picked an antenna that can cover 800MHz and also 2.6GHz. All of the LTE antenna from Solwise clearly state the frequency bands they support. In fact we’ve made a conscious decision to only stock LTE antenna that are suitable to all three UK LTE bands so you don’t have to worry about choosing which band antenna for which supplier. The arguments about using omni or directional antenna for LTE are the same as those applicable to 3G. So, use an omni where you DON'T have line of sight where you're relying upon scattering and reflection. Only consider a directional antenna when you can aim directly at the transmitting mast.